Hello once again readers. I would like to take this week to talk about deforestation. Deforestation is the conversion of forested areas to non-forest land for use such as arable land, pasture, urban use, logged area, or wasteland. Deforestation can also be seen as removal of forests leading to several imbalances ecologically and environmentally and results in declines in habitat and biodiversity. Urbanization, Mining, Fires, Logging and Agricultural activities are few of the causes of deforestation. Most people think, “How can you be worried about forests? They are all over the place, just look around.” And while it may seem so here, this is not the case everywhere. According to the United Nations Food and Agriculture Organization (FAO), an estimated 18 million acres (7.3 million hectares) of forest are lost each year. In the last two decades, Afghanistan has lost over 70% of its forests throughout the country. 13 million hectare (1 hectare = 10,000 square meters) per year in South America and Africa and south East Asia is converted from a forest to an agriculture land. It is estimated that within 100 years there will be norainforests. Worldwide more than 1.6 billion people rely on forests products for all or part of their livelihoods. 20% of the world’s oxygen is produced in the Amazon forest. 25% of cancers fighting organisms are found in the amazon. 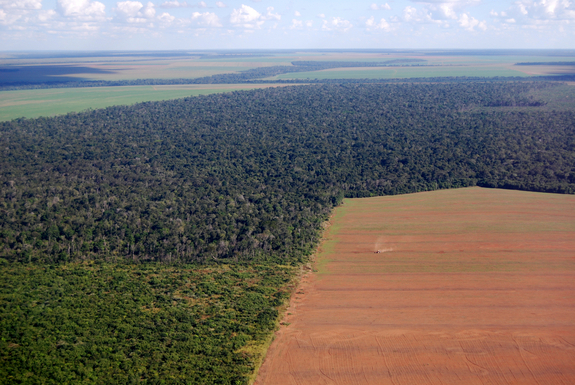 Half of the world’s tropical forests has already been cleared. The impacts of deforestation are astonishing. The most dramatic impact is a loss of habitat for millions of species. Seventy percent of Earth’s land animals and plants live in forests, and many cannot survive the deforestation that destroys their homes. Tropical rainforests which cover 6-7% of the earth’s surface, contain over half of all the plant and animal species in the world. 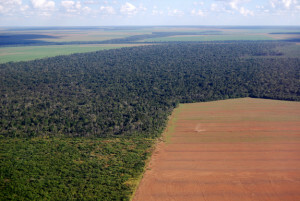 Deforestation drives climate change. Forest soils are moist, but without protection from sun-blocking tree cover they quickly dry out. Trees also help perpetuate the water cycle by returning water vapor back into the atmosphere. Without trees to fill these roles, many former forest lands can quickly become barren deserts. Removing trees deprives the forest of portions of its canopy, which blocks the sun’s rays during the day and holds in heat at night. This disruption leads to more extreme temperatures swings that can be harmful to plants and animals. Trees also play a critical role in absorbing the greenhouse gases that fuel global warming. Fewer forests means larger amounts of greenhouse gases entering the atmosphere—and increased speed and severity of global warming. 300 billion tons of carbon, 40 times the annual greenhouse gas emissions from fossil fuels, is stored in trees. The deforestation of trees not only lessens the amount of carbon stored, it also releases carbon dioxide into the air. This is because when trees die, they release the stored carbon. According to the 2010 Global Forest Resources Assessment, deforestation releases nearly a billion tons of carbon into the atmosphere per year, though the numbers are not as high as the ones recorded in the previous decade. Deforestation is the second largest anthropogenic (human-caused) source of carbon dioxide to the atmosphere, ranging between 6 percent and 17 percent. We aren’t helping the situation either. According to Rainforest Action Network, the United States has less than 5% of the world’s population yet consumes more than 30% of the world’s paper. On average, a person in the United States uses seven trees a year in paper, wood, and other products made from trees. This amounts to about 2,000,000,000 trees per year. If everyone recycled a single run of the Sunday New York Times, it would save 75,000 trees. Each ton (2000 pounds) of recycled paper can save 17 trees, 380 gallons of oil, three cubic yards of landfill space, 4000 kilowatts of energy, and 7000 gallons of water. This represents a 64% energy savings, a 58% water savings, and 60 pounds less of air pollution. We can make a difference if we all work together and recycle paper, which most seem to take for granted. This entry was posted in Uncategorized on February 19, 2016 by Jacob Pio Scioscia. I am actually scared that all the world’s rainforests will be gone in 100 years. This is something that has to be combatted… by everyone. And to learn that nothing is really being changed to help the situation, I am just that much more worried about the future of some of the greatest ecosystems in the world. I knew a little bit about deforestation before this post but you really shined a light on the issue for me. People definitely don’t care that their action affect the world around them and that needs to change. Great post! The number of acres of forests lost each year make me cringe. People really don’t get the massive effects that come along with deforestation. The whole world is affected in so many ways especially with the loss of diversity and increased carbon dioxide levels. We all need to find new ways of agriculture rather than cutting down acres upon acres of forest. This is definitely a pressing issue that needs to be addressed. I am definitely a big proponent for recycling. I believe that if you have something that can be recycled/composted, it is very important that you do your part. Obviously, trees are going to have to be cut down because of the demand for paper around the world. but if you cut one down, you should plant 2 more. The problem lies where people chop down whole forests, but don’t plant any new trees.